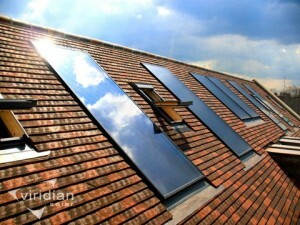 Greentherm offer Viridians Clearline solar thermal flat plate, manufactured in Cambridge, UK. It is one of the few in-roof solar panels designed for UK and Irish roofs, most flat plates are designed with European roofs in mind, meaning the flashing system is usually poor when used with slate. Clearline is the only solar thermal panel with a BBA Agrement certificate tested as a roofing element as well as an energy generating product. Viridians solar panels are tried and tested with thousands of units installed across the UK and Ireland in commercial, private residental and particularly the drainback solution in social housing projects. The main component of each panel is the absorber, which absorbs solar radiation and converts it into heat. In a flat plate collector, the absorber is in the form of a flat, black plate in a shallow metal container covered with one or more layers of transparent glass or plastic; either air or a liquid is circulated through the cavity of the container. Heat is directly transferred from the absorber to the circulating liquid. 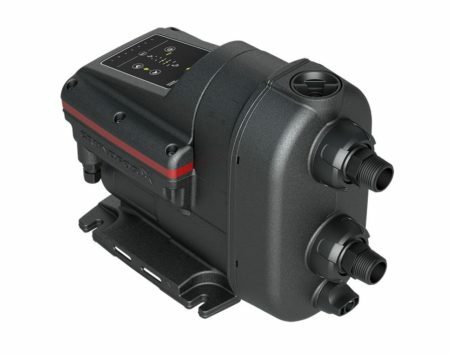 Viridians patented flashing design makes it an easier solution to install with better weather tightness and aesthetics. Individual or close coupled flashing kits available for slate or tile roofs. 4mm tempered glass and strong frame make the Clearline a robust solar panel. As shown clearly in the image below, there is a clear separation between roofing and plumbing works as the panels have a flexible hose that the roofer merely has to drop through a hole in the felt to which the plumber connects their pipework. 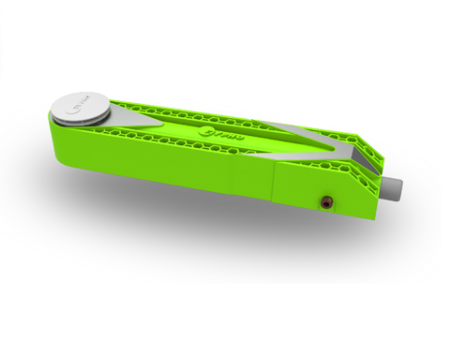 This brings a clarity of responsibility, safer working practices and eliminates multiple penetrations of the slate or tile to protect the integrity of the roof and also allow for rapid installation by a roofing contractor. The image below highlights some of these beneficial features. The individual slate soakers result in a seamless integration with the roof covering along the edge of the panel. 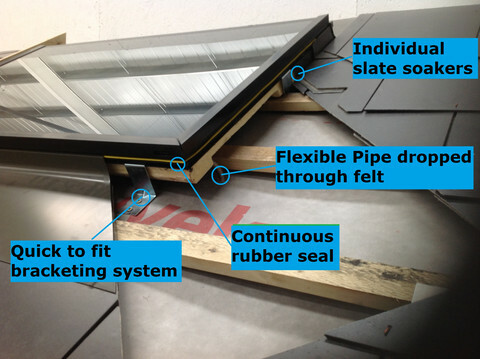 The section of the flashing detail below shows the continuous rubber seal runs the entire perimeter of the panel maintaining the water tightness of the roof. 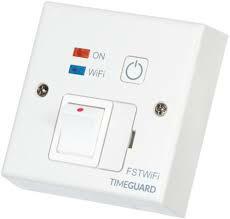 It is essentially a series of seals that prevent the ingress of water and also grips the edge of the flashing tightly. A number of options with stands for flat roofs are also available.